I have a favorite peeling gel from Korean brand The Face Shop with papaya enzymes. Smart Peeling Milk Papaya Peeling cleanses the skin very gently, without causing any irritation or bad reactions. It smells very nice. A fruity fresh scent with a sour note. Cleansing and exfoliation take places thanks to the activation of the fruit acids during the formation of the cellulose granules. These granules gather dead skin cells, city pollution, excess oil. 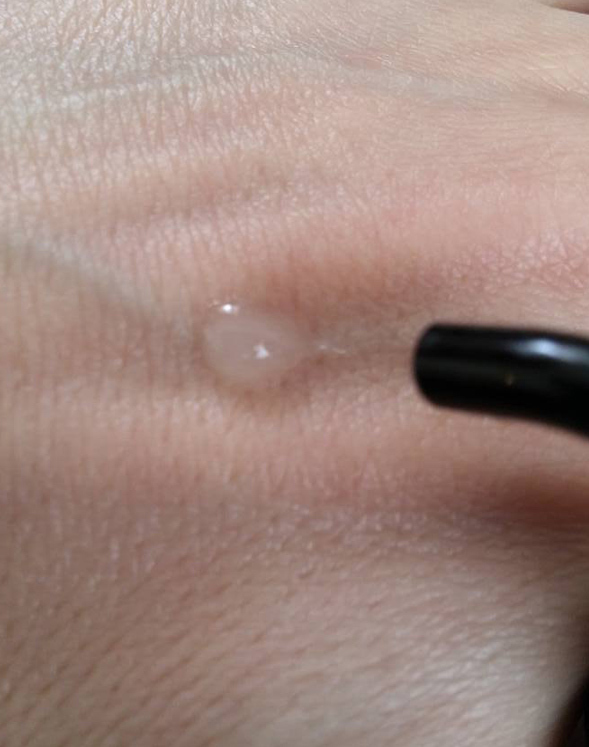 Using a peeling gel is the safest skin renewal manipulation, which will suit people with any skin type. 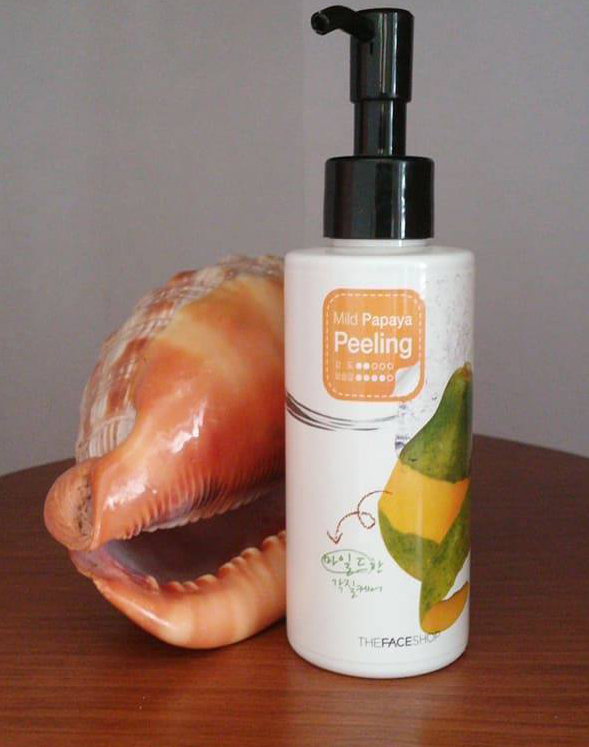 The peeling gel doesn’t contain parabens, oils, dyes or artificial fragrances. This enzyme peel can be ordered on eBay or Amazon. 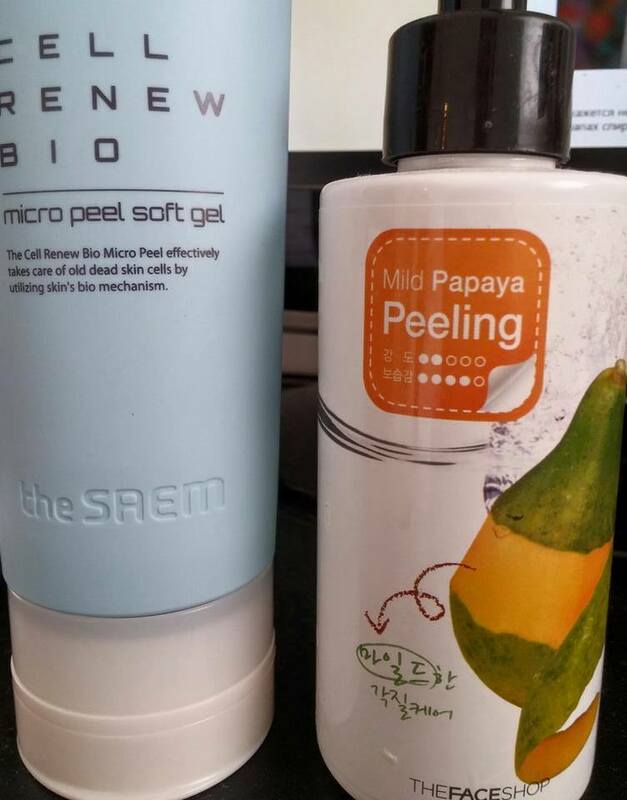 BUT in our group Korean Tricks everyone raves about another peeling gel from The Saem, so of course I ordered it. This peeling gel is more aggressive and cleanses more seriously. The cellulose particles aren’t as soft as those in the papaya peel. The scent is more traditional and smells like a classic cream. I think it’s more suitable for oily and combination skin. – Microcrystalline cellulose – cleanses, absorbs sebum, exfoliates dead skin cells making the skin more even and improving skin tone. – Plant stem cells – a special material from buds and stems of plans with a unique ability to restore skin tissue. Stem cells actively combat aging, cleanse and restore cells after stress, improve cellular metabolism, support diminishing with age collagen and elastin production, increase skin’s vitality, strengthen and hydrate the skin and make it more elastic. You can order this peel from eBay or Amazon. I will use both since I bought then, but The Saem one more seldomly. And the next time I’ll buy the papaya peel, it suits me better.